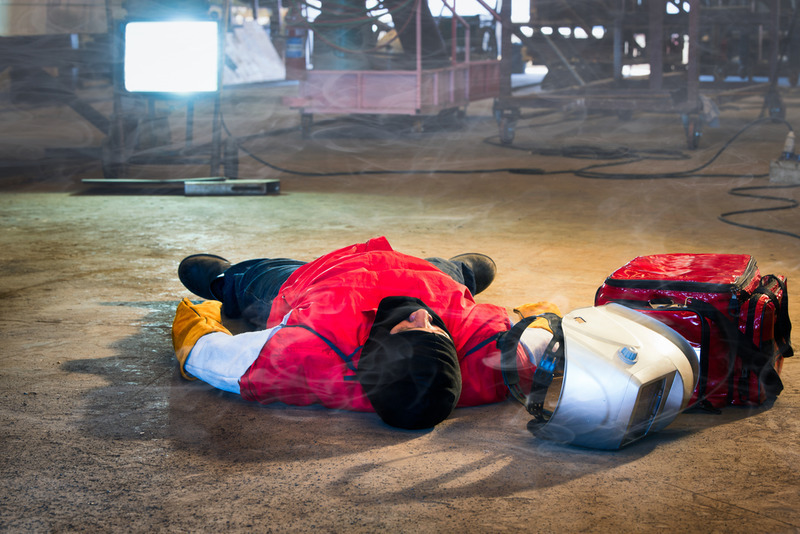 Of all the injury cases we handle, none are more difficult than the wrongful death ones. No amount of money can make up for the loss of a loved one. No matter what the compensation is, it just can’t do that loss justice. However, the money can help. A wrongful death attorney in Los Angeles from our firm can get you the compensation to cover funeral expenses as well as many other costs associated with the loss of a loved one. There are no words for how difficult a time the passing of a loved one can be, and it’s all the more difficult when they passed due to someone else’s negligence or malice. Our wrongful death attorney in Los Angeles team can’t help you with the emotional impact of losing a loved one. However, we can help you with the legal case. That’s where we can lift the burden and make this difficult time just a little bit easier on you. When you don’t have to worry about your legal wrongful death case, it’s one less thing that you have to worry about. That may not sound like much, but in the wake of a loved one’s wrongful death, just having one less problem to be concerned with can make a significant difference. On top of that, while we understand that no compensation can make up for the passing of someone you loved very dearly, the money can help. For example, if your loved one was going to continue working for some time, then our wrongful death attorney in Los Angeles can make sure that you get all of the lost wages that you would be entitled to. You counted on them to keep making money to help support you and the family. You’re entitled to that money. The same goes for any money they might have made that they were unable to earn because they were laid up in a hospital or otherwise incapacitated before their passing. If your loved one was in the hospital for a time before they passed away, that can be more hospital bills that you have to pay for. Maybe the hospital did everything they could to help your loved one. That can involve a lot of treatments and more that can be quite expensive. Insurance might not cover all of this, s, and the money has to come from somewhere. We can fight to make sure that these medical bills are included in your compensation as well. The injuries that lead to your loved one being in the hospital were a direct result of someone else’s actions. So, it stands to reason that they’d be included. Funerals are, sadly, quite expensive. Even a modest gathering can cost quite a bit of money. If you’re like most people, you don’t have thousands of dollars just lying around. That’s one more kind of compensation our lawyers can help you to get: funeral costs. They take quite a bit of money out of your pocketbook, so our attorneys work hard on making sure that you get plenty of it back. The compensation you get from your case isn’t just about making things as right as they can be in the past; it’s about giving you a foundation from which to move into the next phase of your life. One thing our wrongful death attorneys always want prospective clients to know: you can’t wait forever to file. This is a sad fact, as it forces people who are going through a terrible loss to have to make decisions that they may not want to make. However, there is a time limit on these kinds of cases, unfortunately. If you have any questions about whether or not you should file a wrongful death suit, you need to figure it out in a period of time. That’s one more reason that we offer free consultations. That way, we can sit down and talk to you to see if you have a case to bring forward. If you have any inkling or suspicion at all that you might have a case, then it’s worth reaching out to our wrongful death attorneys in Los Angeles. Like we said, free consultations, which means that it’s worth checking out. There’s no real downside to this. If you come and talk to us, and you end up not having a case, you’ve lost very little. However, if you could have had a case, and you either don’t hire an attorney or let the statute of limitations run out, you will have lost quite a bit. Just as a point of due diligence, it’s worth talking to a lawyer to see. We can help you in a variety of ways. Most people hear “wrongful death lawyer” and think of lawyers in a courtroom. Sure, we have plenty of trial experience in beating the biggest insurance companies, but that’s not all that we can do for you. In fact, most cases don’t end at trial, they end in negotiation. S we have negotiation experts with years of experience, we can help you to have the most compelling case no matter where it’s being argued. We stand by our proven track record of winning enormous settlements for our clients in negotiation. However, some of our services we can offer are ones people rarely think about. For example, we make sure that you’re bringing claims against the right parties. In a wrongful death case, more parties than you might think might be liable for the wrongful death. For example, say that your loved one fell down the stairs at work, which lead to complications that unfortunately lead to their passing. Most people who hear this would immediately think that the wrongful death case is brought against the workplace. That’s one possibility. Another is: what if the stairs were built in a defective manner? Then, a claim could be made against the manufacturer, too. You could even file suit against both of them. Our attorneys can help you to figure out who’s truly liable, and who would have a suit brought against them. That’s one of the many reasons we always recommend hiring an attorney and not filing yourself: we’ll figure out who exactly should be filed against and why. On top of that, another reason to hire an attorney early in the process is to keep the insurance company away. If you’re going dealing with the wrongful death of a loved one right now, you may have firsthand experience with the insurance company calling you to offer a settlement. The insurance company always wants to offer settlements to people who have lost loved ones in wrongful death cases in hopes that you’ll sign it immediately. They don’t want you to think, and talk to a professional about how much your claim could be worth. Instead, they just want to find you when you’re sad, vulnerable, hurt and lonely and then offer you money. That way, even if it’s a low ball deal that’s far below what your claim is worth (which is always is) it will seem like they did a great thing as they offered you money. The last thing you should ever do is sign something from the insurance company without having our wrongful death attorney in Los Angeles look over it first. If it’s a good deal from the insurance company (which it won’t be) then we’ll tell you to sign it. However, if it is isn’t, then you need to have attorneys on your side who can stand up to the insurance companies and anyone else standing in the way of your wrongful death suit. If you want to talk about your case, and see if there’s a way we can help, we’re always willing to talk whether at (818) 210-4558 or through our site.